This burn reveals itself at low tide. 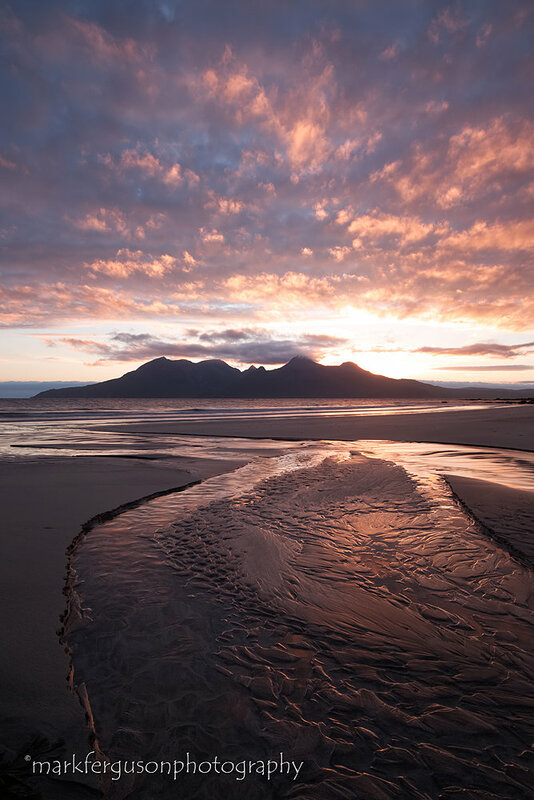 If you're lucky a low tide on a summer's evening will coincide with a dramatic sunset. Bingo!